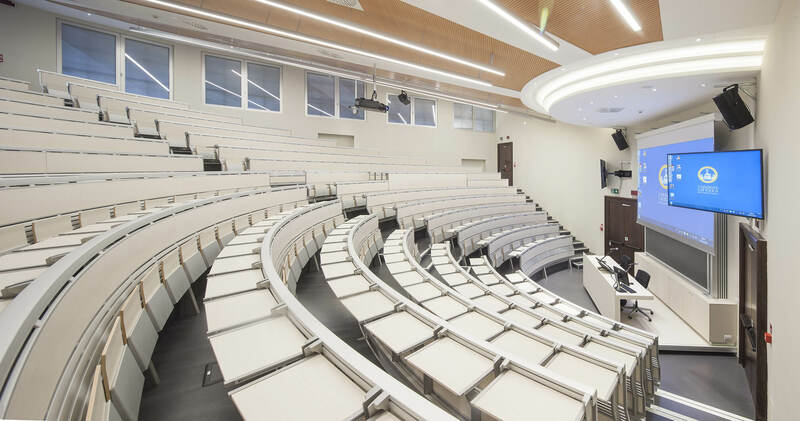 “To focus on the conference and education sectors and on seating for public spaces”: this is how Lamm’s new Art Director, Dante Bonuccelli, described one of the key features of his work at Lamm. 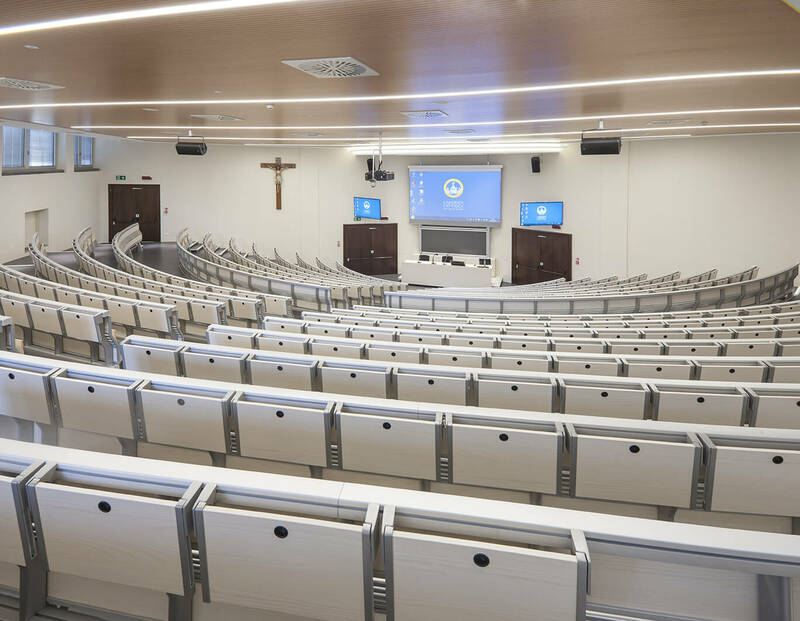 This is why by installing LAMM’s Runner system of tables and chairs in the “Manzoni” and “Sant’Agostino” classrooms at Università Cattolica del Sacro Cuore, it has fully consolidated the company’s growing commitment to the education and conference sectors, with a high-impact, elegant and prestigious project. In fact, the Catholic University of the Sacred Heart was founded in 1921 by Father Agostino Gemelli; with its 600,000 square metres of total surface area and 4 Italian campuses, the facility is the largest non-state university in Europe. 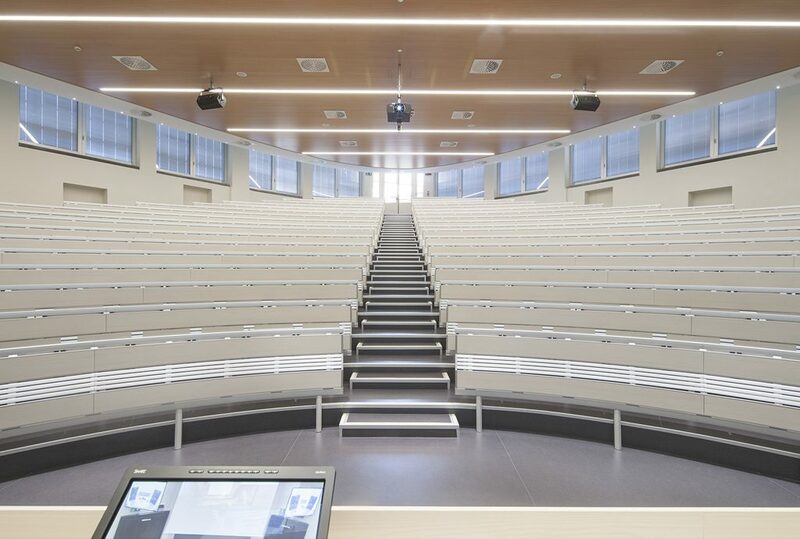 With its lines and designed functionality, Runner will therefore enhance the university’s two main classrooms at the Largo Gemelli campus in Milan; if you love adverts, you may also recognise the Manzoni classroom from the very famous Ferrero advert, which had a long run on national television. 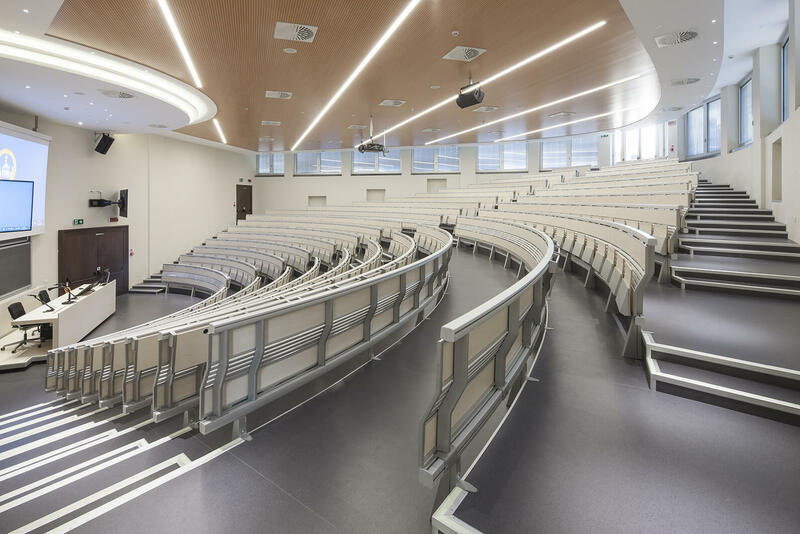 The renovation of these two main classrooms is part of a seismic improvement plan, which has involved one of the two university areas expanded over the last century.